Caffeine is a purine derivative, which is 1,3,7-tri- methyl xanthine. Caffeine content in black tea is around 3 – 4% of dry weight. It has stimulating property and removes mental fatigue. 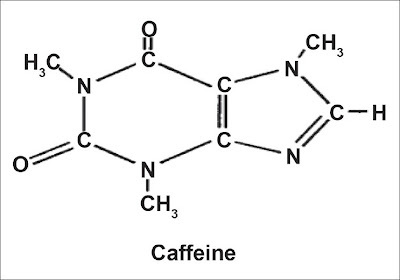 The contribution of caffeine to the infusion is the briskness and creamy property resulting from the complex formed by caffeine with polyphenols. Briskness is a taste and sensation while creaming is the turbidity that develops from a good cup of tea when cooled. The leaf cell wall, containing cellulostic materials surrounded by hemi-cellulose and a lignin seal, prevents the penetration of hydrolyzing enzymes. 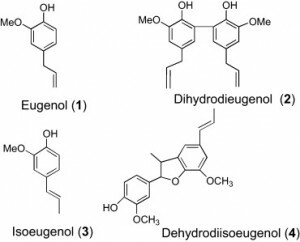 The reduced succulence in the matured shoot is believed to be due to structural bonding between phenolic components of lignin, polysaccharides and cutin of cell wall. The free sugars found in tea shoot are glucose, fructose, sucrose, raffinose and stachyose. Maltose in Assam variety and rhamnose in china variety appeared special. Pectic substances contain galactose, arabinose, galacturonic acid, rhamnose and ribose. 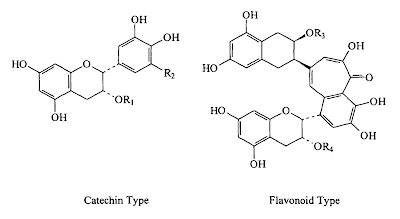 Free sugars are responsible for the synthesis of catechins in tea shoot, formation of heterocyclic flavour compounds during processing of black tea and contributing towards water-soluble solids in tea liquor. Cellulose, hemi-cellulose, pectins and lignins are responsible for the formation of crude fibre content in black tea. Tracer studies using 14C-glucose in detached tea shoot showed that glucose was one of the precursors of polyphenols in tea. Except theanine all amino acids present in tea shoot were biosynthesized using 14C-glucose, 14C-sodiam carbonate and 14C-sodium propionate. Theanine was mainly synthesized in the root and translocated to the shoot. Aspartic, glutamic, serine, glutamine, tyrosine, valine, phenylalanine, leucine, isoleucine and theanine (5-N-ethylglutamine) were found to be the principal amino acids present in tea leaf. Theanine alone contributed around 60% of total amino acid content. Asparagine was formed during withering. The amino acids play an important role in the development of tea aroma during the processing of black tea. 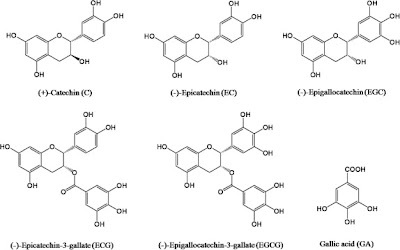 The neutral, glyco and phospholipid contents and their fatty acid composition varied in Assam, China and Cambod varieties and also during different stages of black tea manufacture. Total lipid contents(%) and total fatty acids (ľg/g) at different stages i.e. green leaf, withered leaf, rolled leaf, fermented leaf and black teas are about 6.5, 5.7, 4.5, 4.3 and 2.8 and 9.8, 8.4, 6.6, 4.8 and 3.7 respecttively. The major fatty acids available in tea are linolenic, linoleic, oleic and palmitic. The four major carotenoids, ß-carotene, lutein, violaxanthine and neoxanthine were estimated spectroscopically in four different Tocklai released clones, namely, TV-1 (China hybrid), TV-2 (Assam Betjan variety), TV-9 (Assam-Cambod variety) and TV-17 (China hybrid). 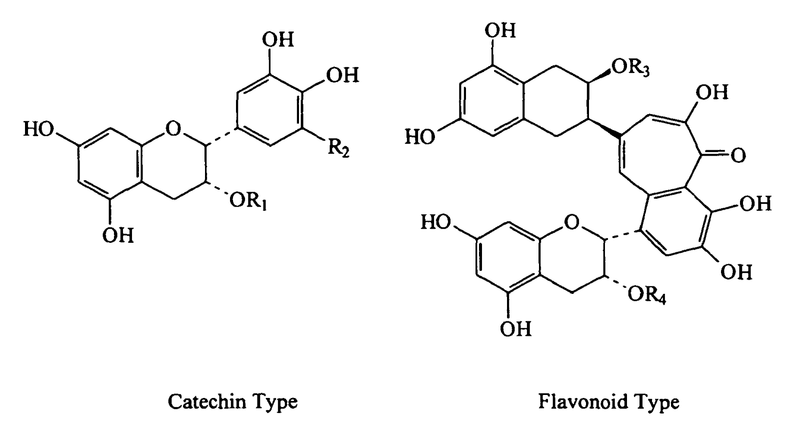 The quantitative changes of these carotenoids in different stages of black tea manufacture were also studied in TV-2 (less flavoury) and TV-17 (flavoury) clones against TV-1 as standard. Comparative study showed that TV-2 contained the least amount of these carotenoids whereas TV-9 and TV-17 contained higher amounts. All these carotenoids were found to decrease appreciably during black tea manufacture. The decrease was found to be higher in curling, tearing and crushing method than in the conventional orthodox method of tea manufacture. The changes of two of these carotenoids viz. -carotene and lutein were not significant statistically during withering but were highly significant during fermentation. However, the reverse was true for violoaxanthine where as the neoxanthine shows significant changes in both of these stages. The vitamin A value was calculated from the residual -carotene amount, pro-vitamin A, in black tea. Delphenidin and cyanidin were the major anthocyanidins present in tea leaf. Anthocyanin contents were higher in tea shoots from pruned than those of unpruned bushes. 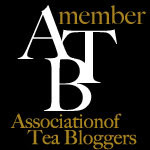 Role of anthocyanins on the quality of black tea however, has not been found to be significant. Citric, tartaric, malic, oxalic, fumaric and succinic acids were detected in Assam leaf. Role of organic acids towards the biochemical influence on the quality of black tea is not yet reported. Thank you for stopping and visiting the blog.